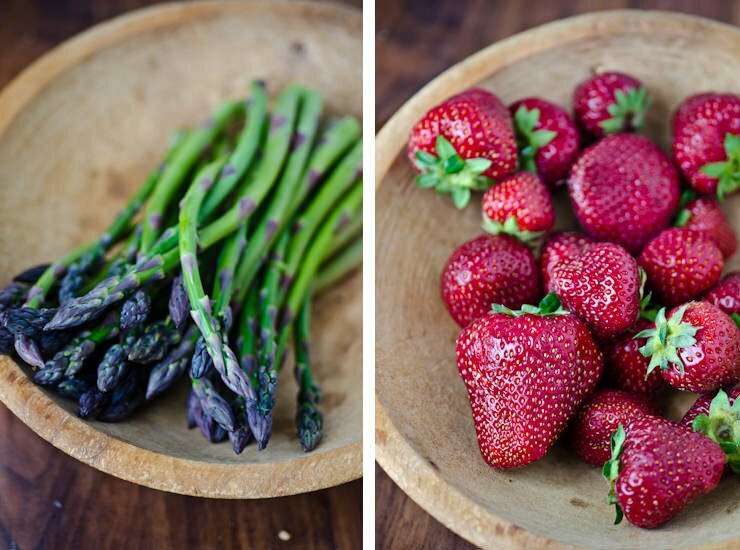 It’s strawberry season and it’s hard to get enough of them this time of the year. They are great in savory dishes as well as sweet and make a great addition to you favorite salads. 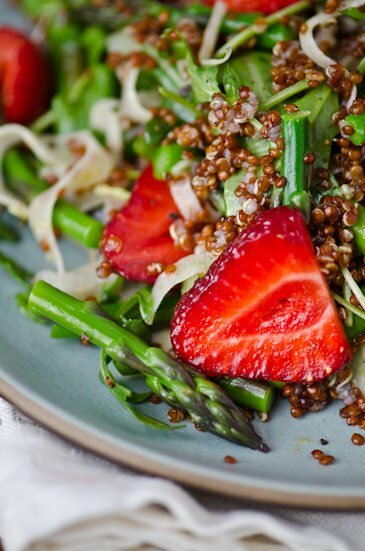 Asparagus and strawberries seem like an odd combination but believe me they work beautifully together in this dish. 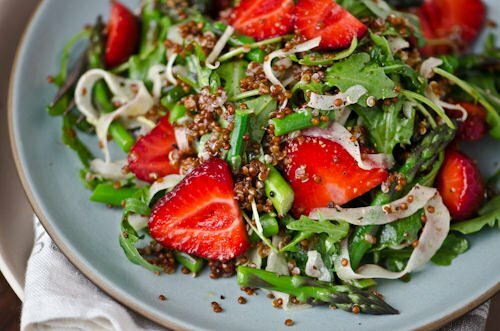 Tossed with some protein rich quinoa and tossed with a sweet tart honey balsamic dressing this is a great unique salad to serve up for friends. Try adding some toasted almonds or hazelnuts for a little crunch or add some grilled chicken or tofu for a more substantial meal. In a small bowl, whisk the lemon juice, oil, honey and balsamic vinegar together. Season with salt and pepper to taste and set aside. Bring a small pot of salted water to a boil over medium heat. Add the asparagus and depending on the thickness cook for 1-3 minutes. Have a bowl of ice water set aside. 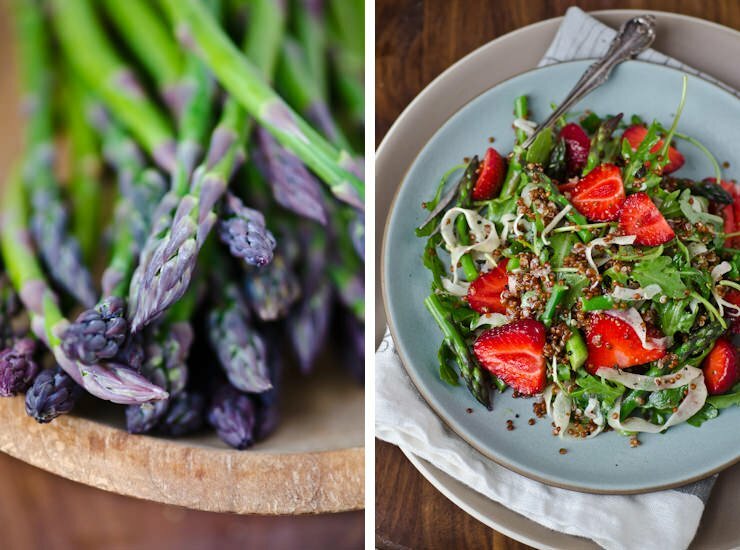 Drain the asparagus and add it immediately to the ice bath. Set on a paper towel-lined plate. 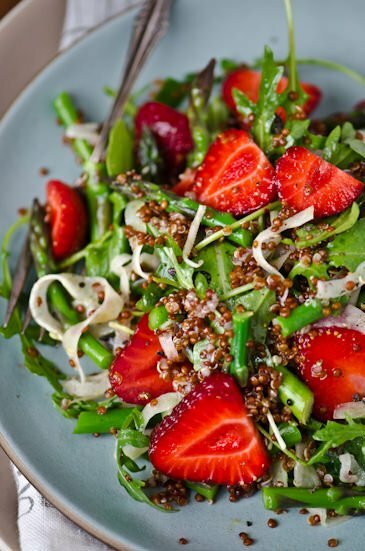 In a large bowl combine the quinoa, asparagus, fennel, arugula and strawberries and lightly toss with the dressing.